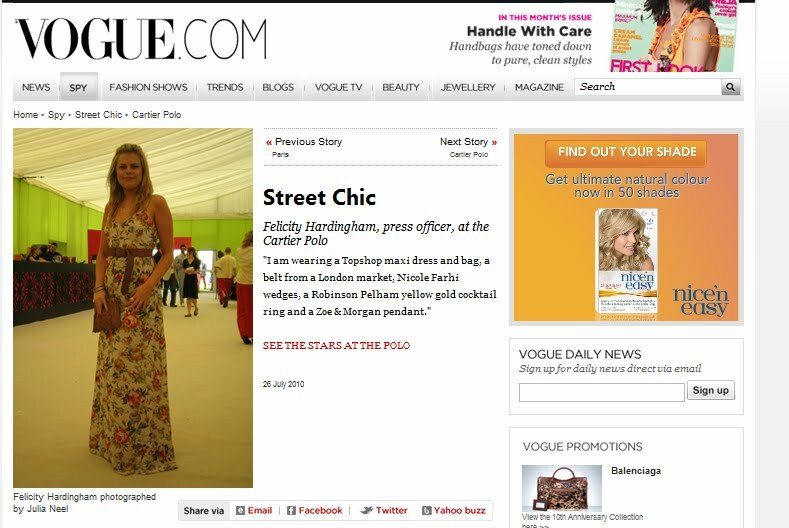 Golden Goose PR’s fashion credentials sky rocketed on Sunday as our very own Felicity Hardingham was Style Stalked by no other than Vogue.com. Felicity was photographed while working at the Chinawhite enclosure at the Cartier International Polo. Other guests who attended the event included models David Gandy and Louis Dowler, Singer Katherine Jenkins and presenter Cat Deeley.